The 2014 champion in the Formula Volkswagen category is Nicholas van Weely (87 – Anglorand). 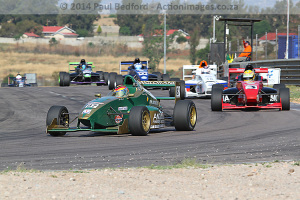 Van Weely claimed the title at the final round of the championship at Zwartkops Raceway on Saturday. The last of the Super Series events for 2014. In the Midas Formula 1600 category, Scott Temple (3 – Investchem) turned his championship lead into a 2014 championship title. Temple played it safe at the final event, settling for second place in each of the races to ensure he took the title. Both of the championship winners had to fight right up to the final round of the season in a nailbiting battle to see who would emerge victorious. They then had to fight to the very last race before the battle was decided. The Formula Volkswagen fight for the title was between Van Weely and Robert Wolk (1 – Midas / Chemical Logistics / ATE) with the pair entering the final round on identical points. Victory in race one skewed the championship fight in Wolk’s favour while a race two win pushed it back in Van Weely’s favour. A jump-start penalty for defending champion Wolk in race two cemented Van Weely’s win for the season. Third place in the Formula Volkswagen championship went to Werner Scholtz (3 – Investchem) who managed to hold off Jason Campos (18 – Hollard Insurance) to take the last of the podium steps by just five points. Temple entered the final round as the F1600 favourite with an 11 point lead over his nearest rival, Keegan Campos (02 – Hollard Insurance). Campos put in an excellent performance on the day, winning both races and claiming first overall for the event, but was just not able to unseat Temple’s lead. Bevan Williams (36 – Rightway Auto Electrical) rounded out the top three overall results for the season in the F1600 category. The class B championship had already been decided at the penultimate round of the season at Killarney. There Rick Morris (8 – Investchem) clinched the title with Ian Schofield (9 – Investchem) finishing in second. 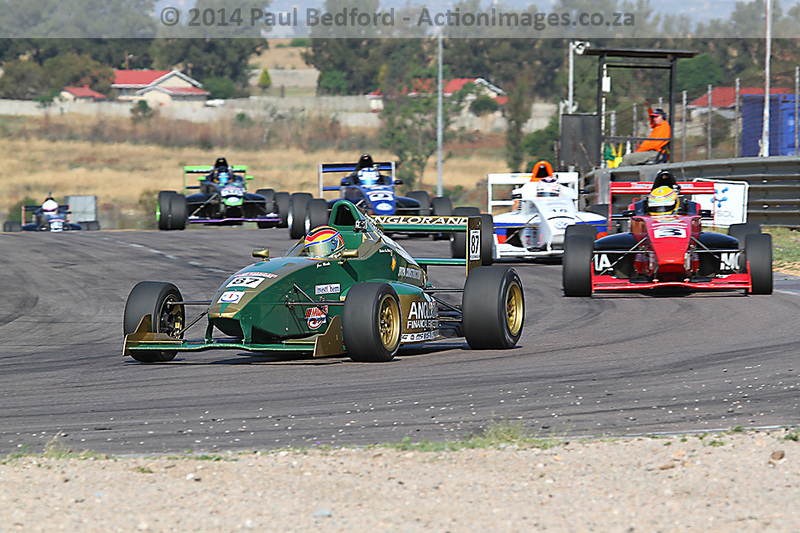 At the final round of the season, Allen Meyer (15) claimed two race victories in class B of the Midas F1600 category. This was Meyer’s first race wins in this category, finishing his season on a high note. The South African Single-Seater racers now go into an off-season of hard work and preparation as they aim for the start of the 2015 championship and some more wheel-to-wheel racing action around South Africa.